Two love birds give a quick goodbye kiss to each other on the way to their next class. PDA allows students to learn how to act appropriately but also how to show others they care for their significant other. Keeping it simple makes it far more acceptable. While walking down the hallways of NC around Valentine’s Day, one might feel surrounded by lovebirds holding hands, hugging, or kissing. Although public displays of affection (PDA) can make some people feel uncomfortable, others know that PDA means something different to the couple. 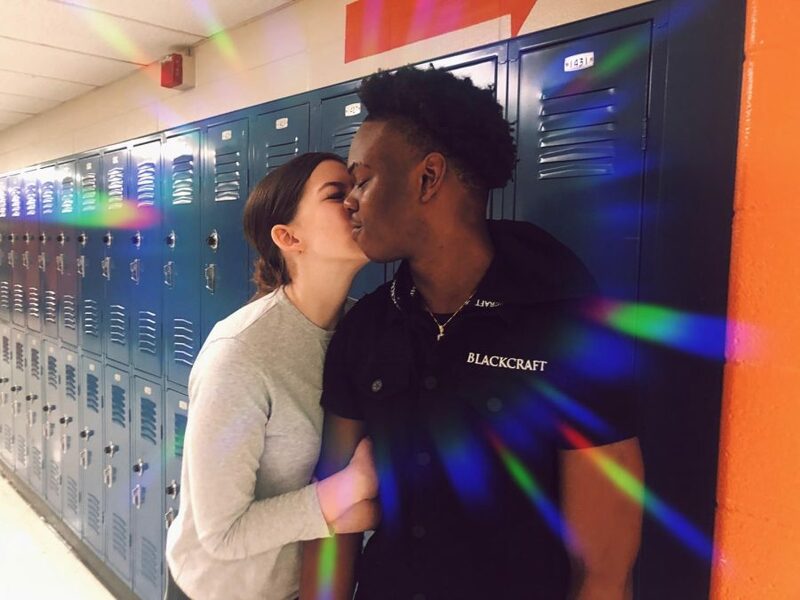 French-kissing one’s boyfriend/girlfriend in a crowded hallway may seem excessive at times, but once the crowd dies down and when a significant other (SO) leaves with a goodbye kiss on the cheek, one feels nothing but bubbly inside on the way to class. Two people in a healthy relationship want to show people openly how they feel about their SO, and it comforts some—without disgusting them—to see two people so infatuated with each other that they cannot resist a simple kiss on the lips. This lovey-dovey action sends the message of this is my girlfriend and I am not afraid to show it. “It shows that he’s mine and I’m his. I’m proud to be with him and it’s a way of showing him off,” junior Tali Porter said. Under the facade of a smooch, PDA tells the story of how two people would rather kiss seconds before the bell rings than wait hours until closed doors. The affection reassures both people of their connection while boosting mood and production of the “love drug”—dopamine—levels in students. PDA can help relationships progress as well as promote openness rather than leaving one’s feelings at home and away from others and wanting no one else to see the affection. Simply holding your SO’s hand in the hallway shows how the two can comfortably show classmates who they love and care about—without showing too much. “I love my boyfriend and it’s not over the top. I just want to show my appreciation as long as it doesn’t make anyone uncomfortable,” Porter said. So, the next time someone debates whether or not to give their girlfriend or boyfriend a smooch in the hallway, they should not be afraid to send a peck their way. Of course, no one needs to spend uncomfortably long moments glued to his or her SO’s lips, but nevertheless, people should not frown upon simple hallway smooches—especially on Valentine’s Day.